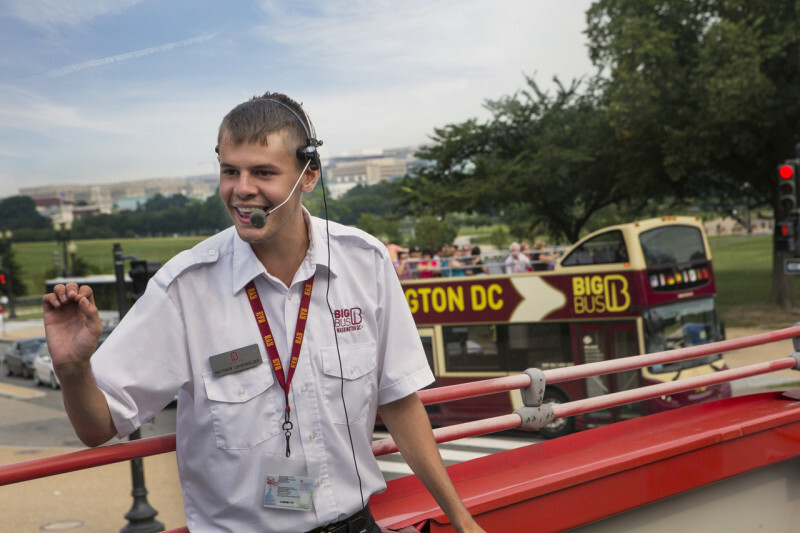 Explore the Nation's Capital on Big Bus Tours, the official tour of the National Mall. The open top bus visits the City’s most iconic landmarks and allows unlimited access to hop-on and -off for 1 or 2 days. Red Loop: The National Mall visiting the City’s iconic landmarks. 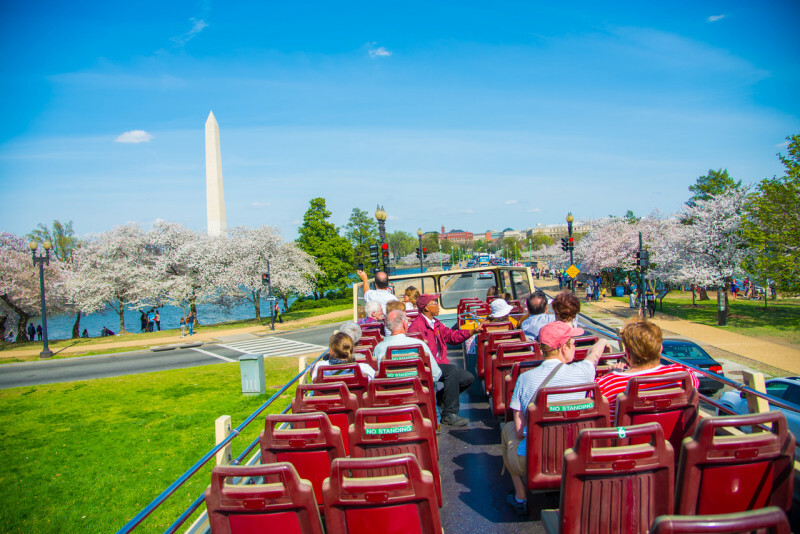 Blue Loop: Cross the Potomac to visit Arlington Cemetery and the Pentagon. Passes by the Pentagon 911 Memorial. 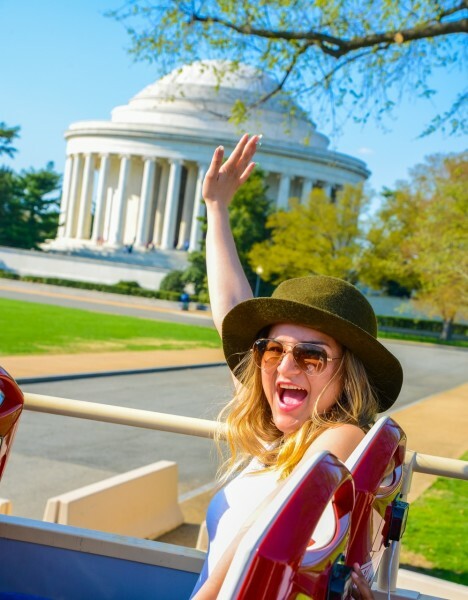 Yellow Loop: Visit historic Georgetown and the Smithsonian National Zoological Park. Live English-speaking Tour Guides or recorded commentary in the following languages: English,Spanish, German, Italian, French, Mandarin, Japanese, and Brazilian Portuguese. Free Admission Ticket to Madame Tussauds Museum. Experience the Capitol’s standout landmarks beautifully illuminated after dusk. 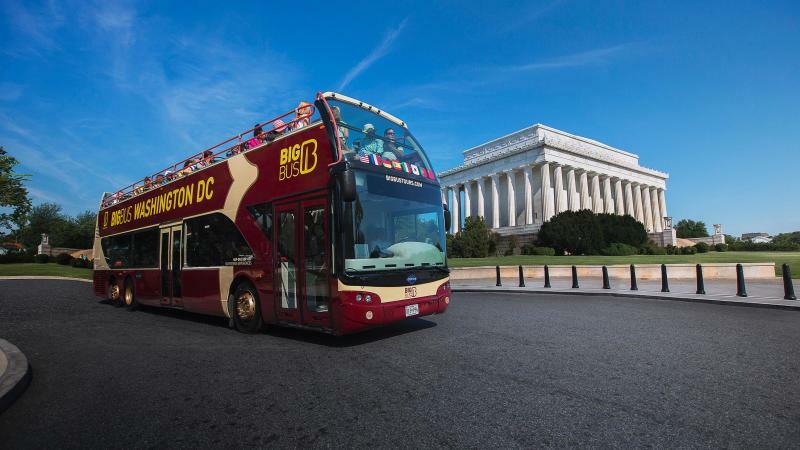 Accompanied by your knowledgeable guide, you will be able to hop off the bus to discover more about Washington’s iconic landmarks. Your guide will explain the history of these national monuments and reveal the perfect position to capture the most impressive photos.